Further details on, and photos of, Major Constantine are shown below. Major R A Constantine was one of three brothers who all served with the 4th Battalion in the First World War. 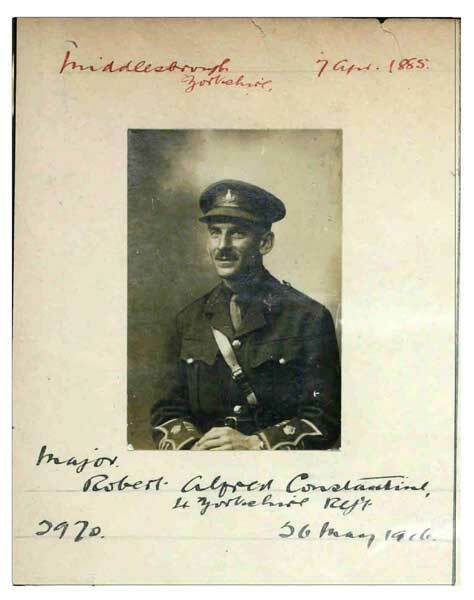 The other two brothers were Captain Herbert Norman Constantine and Lieutenant Colonel William Whitesmith Constantine. 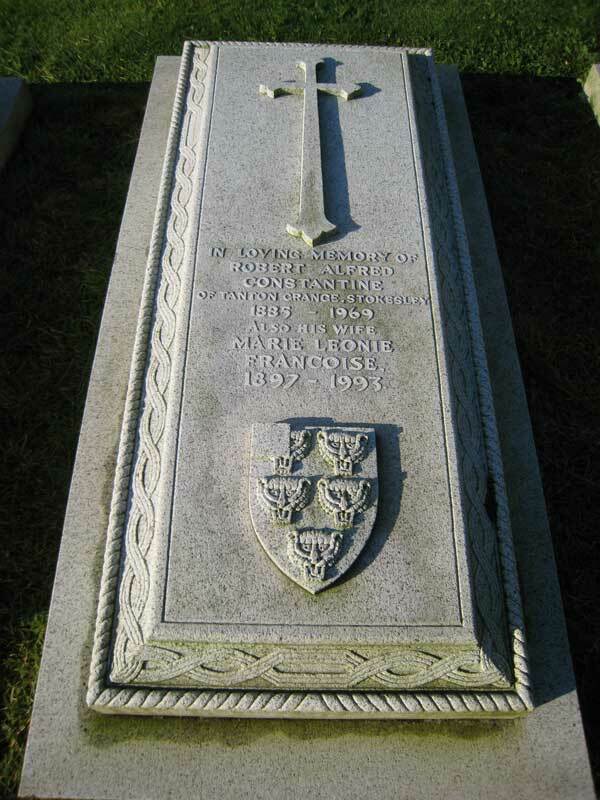 Simon Barnard (<barnard.4@btinternet.com>), a great nephew of Major R A Constantine, has provided much information on his great uncle and his two brothers. This information, and the photographs provided by Simon, can be seen below. The Constantine family are associated with the building of Constantine Technical College in Middlesbrough, amongst other things. Records in the Green Howards Museum show that Major R A Constantine was an Equipment Officer with the Royal Flying Corps. Below is a contemporary obituary from a National Newspaper (source not given) of Major R A Constantine, and a photo of his grave at St. Oswald's Church, East Harlsey.